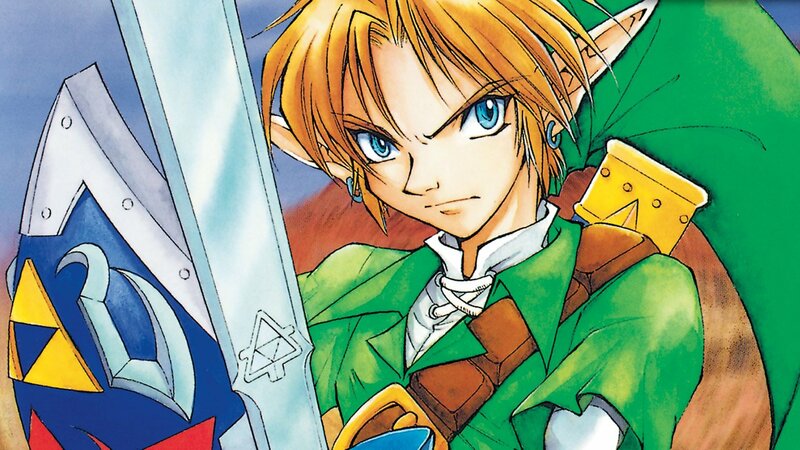 I’ve always been of the opinion that it’s time for Link to have a more dynamic personality in The Legend of Zelda games and one of the best ways to inject that into a character is to give them something to say. I’m not making the argument that he needed a voice in the existing entries in the franchise – there’s something special about a silent protagonist, so that portion of the series’ legacy is important – but I do think it’s time for him to evolve. Link may have been created to be a voiceless conduit, or link, between the player and the game world, but his role has evolved far beyond just a green-clad avatar. In recent years, especially now that Nintendo has established a timeline and offered a more stable narrative for the franchise as a whole, this is no longer our story to project as we play – this is Nintendo’s story occupied by Nintendo’s characters. You can still name Link whatever you want, but that doesn’t stop him from being Link. Since the games have so firmly established themselves as works of art in terms of storytelling, I think it’s time they evolve to the point that their chief protagonist can voice his opinions. Luckily, Nintendo need look no further than the incredible The Legend of Zelda manga series by Akira Himekawa that they already gave their blessing. In the manga series, each volume is based on a different game. 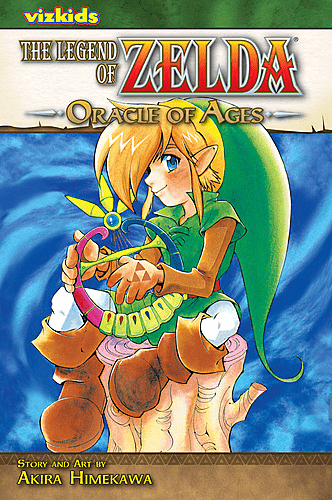 Games such as A Link to the Past, Ocarina of Time, and Majora’s Mask are all represented, as well as handheld classics such as Oracle of Ages and Oracle of Seasons. The manga is impressive for not only how well it adapts the source material, but also for how well it incorporates new elements that feel like a natural extension of the original work. 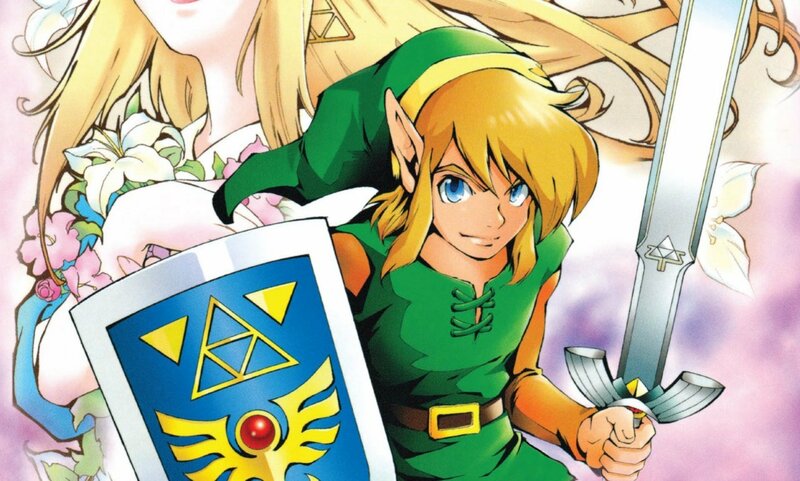 For starters, in all of the manga volumes, Link talks. He has a personality. He thinks about things. He speaks to other characters and responds to dialogue. And more importantly, his motives, aspirations, and intent are revealed and explored. Nintendo has done a wonderful job of establishing Link as the beacon of courage for interactive entertainment. His willingness to act is unmatched and his stoic demeanor, even in the most trying of times, is absolutely unwavering. But when you’re primary means of connecting the player to a game world is a silent avatar in a world full of big, vibrant, and emotive personalities, it limits what you’re capable of doing. 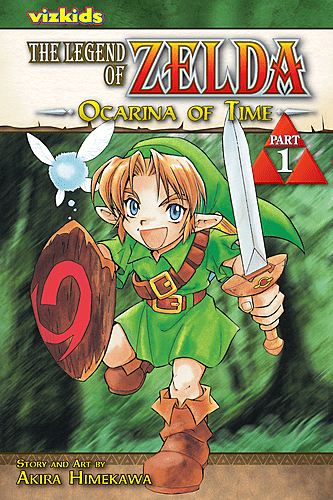 Taking a look at the manga more specifically, beyond just the fact that Link talks, there are several other facets that improve each of the stories they mirror. For example, in Ocarina of Time the game, Link finds his first sword in a treasure chest and buys his shield from a shop. In the manga, Mido, the antagonistic bully, warms up to him and gives him the sword after certain interactions and Link peels off a piece of the recently deceased Deku Tree to carve his own shield from his remains. The writers took two simple items – a sword and shield – and used them to portray not only Link as a person, but his connection the other characters in the narrative. It doesn’t stop there, though. When Link first travels to the Hyrule Castle Market, he meets Zelda there instead of Malon. She is pretending to be someone else so she can enjoy a day being treated like a normal girl. That mindset adds an entirely new layer to Zelda’s personality and puts Links general naivety into more clear display – an under-developed portion of the game, since Link lacks any agency. To name a few other changes: Volvagia is a former dragon that Link owned as a pet, Dark Link emerges from the well in place of the Shadow Temple ever existing, Impa trains Link once he becomes an adult, and he fights alongside other allies in dungeons rather than completing his quest alone. In A Link to the Past even more liberties were taken with the story. Agahnim, the evil wizard allied with Ganon, is revealed to be an old friend of Link’s father (who, might I remind you, is essentially never mentioned in any of the games whatsoever.) Ganty is a brand new character, exclusive to the manga, that provides an extra layer of mystery and suspense to the already mystical story. This was a much needed addition since A Link to the Past is one of the few games in which Link doesn’t have a companion of any kind to trade banter with, so she adds a crucial layer of character development. There are dozens of other changes that were made in the manga that serve as appropriate alterations to a legendary series. While Nintendo would be wrong to assume that all of these differences would have translated to a game seamlessly – they definitely wouldn’t have – they are all topics worth considering. Taking the next step and pushing Zelda into the future of gaming is on the horizon, and it all can start with just giving the young man in green a voice.